While this blog is focused on service parts planning, I focus more generally on supply chain planning. I have had a book on SAP published by SAP Press titled Discover SAP SCM. Well, it was a lot of work, but my new book is now available. The book is titled Discover SAP SCM and is published by SAP Press. 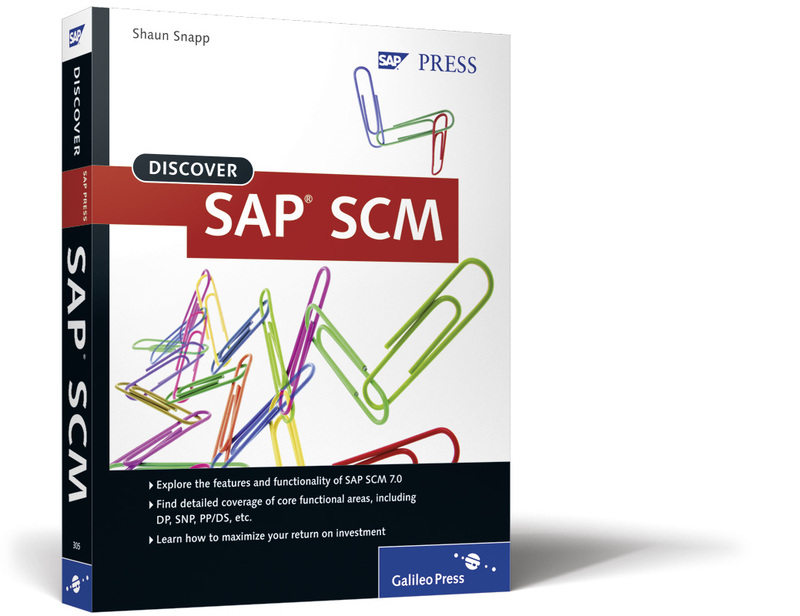 It provides an overview of the entire SAP SCM suite and is a good book for those new to SCM, for those who work in SCM, but looking to get a broader view. It is also useful for decision makers as a guide for which specific modules in SCM offer their companies the highest opportunity. It includes an overview of all the modules in SCM, but also chapters on how SCM has developed as of 7.0 and frank coverage of topics related how to get more value from SCM and how to perform ROI analysis on prospectiveSCM projects. Employees working at companies that that are about to implement SAP SCM. Employee working at companies that have implemented SAP SCM and that are either new to the software, or where their company is planning to expand the SCM implementation footprint. The book includes a chapter on SPP.